A successful organization begins with the teamwork of many individuals. 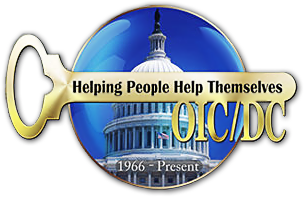 The OIC/DC leadership and management team is full of hardworking people who thrive on teamwork to effect real change. Dr. Carlton Wadsworth Veazey's ministerial history is extensive. He represents the third generation of ministers in his family and is eminently prepared for this role, both academically and experientially. Dr. Veazey has always been a visionary in his ministry: he was the first minister in the greater Washington, DC area to ordain a woman in the Baptist church. He continues the legacy of ordaining female ministers to this day. Dr. Veazey's dedication to the community is equally exemplary as noted by his appointment by former President Nixon to the DC City Council and his service as executive director of the mayor's Manpower Services Planning Advisory Council. He is past President and Chief Executive Officer of the Religious Coalition for Reproductive Choice, having retired in 2011. 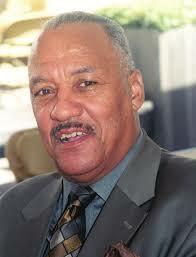 F. Alexis H. Roberson is the President and CEO of the Opportunities Industrialization Center of DC (OIC/DC). Ms. Roberson is a graduate of Howard University where she obtained both her Bachelor's and Master's degrees. She has served as the director of the DC Department of Parks and Recreation and the Department of Employment Services (DOES). Ms. Roberson is active with community, professional, and social organizations. 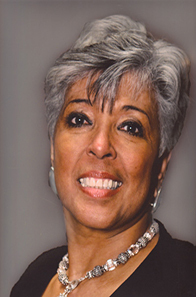 She has also served on numerous boards and commissions, including the board of directors of the DC Water and Sewer Authority; the chairman of the board of directors for the United Planning Organization; the president of the DC chapter of the National Forum for Black Public Administrators; and the board of directors of the Kennedy Center of the Performing Arts. In addition to all this, Ms. Roberson was the chair of the board of trustees for Fellowship Baptist Church for 22 years. A member of Links Incorporated and a member of Girlfriends Incorporated. She is a native of Aiken, South Carolina and has one son, Alan, who resides in Los Angeles. Before joining OIC/DC, Mrs. Little served as one of the senior managers of United Airlines at Dulles International Airport. In this role, she managed the Aircraft Appearance and Provisioning Department, including over 400 diverse employees who spoke over 35 languages. 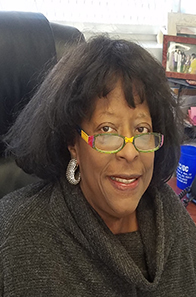 She brings over three decades of experience to OIC/DC and we value her expertise in the areas of customer service, human resources, managerial development, and more. These skills have served her well in her contributions and approach to serving the residents of the District of Columbia through OIC/DC's post-secondary education services and curricula. Mrs. Little earned her Bachelor of Science and Master of Science degrees from Howard University. Ms. McKinney has provided financial accounting and management services for OIC/DC since 2009. She has extensive experience with grant accounting, relative to both government and private funds and maintains accountability and financial integrity for OIC/DC's multiple projects and contracts. 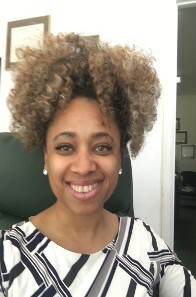 Ms. McKinney works directly with OIC/DC's CEO and assists with developing all grant applications and budget proposals submitted to prospective funders. She is also the founder and chairman of the Edith P. Wright Breast Cancer Foundation in Washington, DC. She has a Bachelor's of Science degree in accounting.